This week we published our agenda for TechBash 2018. It is time for you to register! You can see the schedule of the breakout sessions here. If you haven’t registered yet, now is the time to do it. TechBash 2018 is Oct 2-5, 2018, hosted at the Kalahari Resort in Poconos Manor, PA! Techbash is quite affordable, especially when compared to our competition (because we are non-profit). 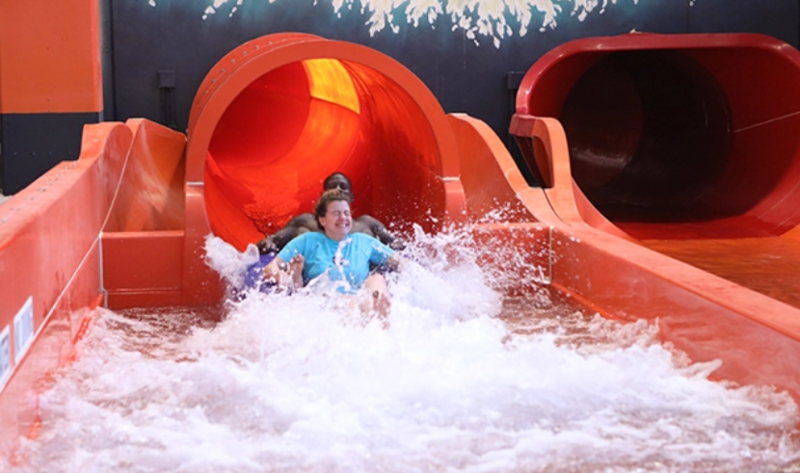 Our 3 day pass plus 3 hotel nights is only about $875 (book before our Kalahari discount expires). We are also local to many people – less than 2 hours from NY and Philly. So if you live in the northeast US we keep your travel expenses down! We’ve built a safe, welcoming and exciting environment that is designed for all attendees to get the most out of the event. In the many informative sessions at TechBash, you’ll learn a crazy number of new things, but we know amazing interactions happen outside of the talks too. Our attendee lounge will have plenty of space for you to hang out and talk with old friends and make new ones. Speakers, attendees, and vendors will gather in the lounge to follow up talks after sessions over coffee and snacks. Our awesome, big name vendors will be there, presenting their latest gadgets and code, and a few job listings as well. In addition to all the learning, we have an attendee welcome reception, game night, and a 200,000 sq. 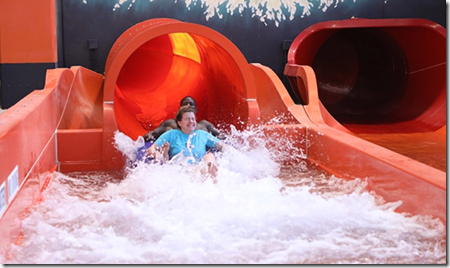 ft. indoor waterpark – the largest in the country! This year we are expanding our Friday family content so bring the kids. Soon, we’ll update our website with much more information about this. Please Help Us – Spread the Word! Did you know TechBash is run by volunteers who don’t get paid? Every dime we charge goes right back into running the event. We started this because we wanted to have an awesome, destination conference with world class speakers in our part of the country! And this year we want TechBash to be better than ever. To do that, we need more attendees. Quite frankly, the larger the crowd, the more money we have to enhance the event. So if you have read this far, you must be interested. All we need you to do is spread the word. The event sells itself pretty well, the problem is, people don’t know about it! Tell your friends, co-workers, LinkedIn contacts, and your plumber. 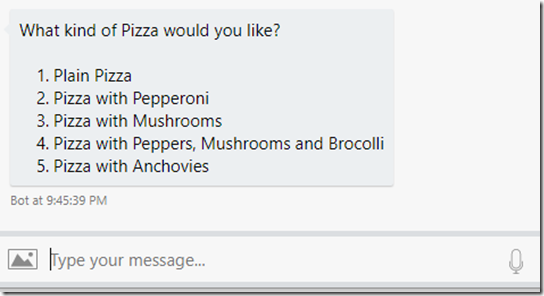 I’ve updated my presentation Creating Awesome Chat Bots with the Bot Framework and C# to use BotBuilder v4. The new way to create bots is quite different from v3. At the time of this post, Bot Builder v4 is still in preview mode. Hopefully it will be going live soon. The code sample can be found on my GitHub repo here: https://github.com/schwammy/conference-bot. Posted in .Net, Azure, Bot Framework, Microsoft. First, an important note. This content is for Bot Builder SDK v4 which is, at the time of writing this, in pre-release. In preparing for some upcoming presentations on Creating Bots, I’m upgrading a bot from Bot Builder SDK v3 to v4. It’s new so there isn’t a ton of documentation or samples out there. But if you are building bots for Azure, now is the time to start learning about v4. It’s quite different than the predecessor. With the old version, you could use the FormFlow feature to easily create “forms” that would gather information needed by the bot to accomplish a task. Consider that if a bot is taking a pizza order, it would need to ask the customer what kind of pizza, what size, find out about side orders and drinks, etc. We had access to the FormBuilder to easily compose a set of prompts to gather the data. Well, in v4, the FormFlow is gone. That’s ok, the new Bot Builder Framework is better . Again, I am still learning about the new version of the framework and I won’t begin to explain it all here. I found most of the docs very helpful and it was pretty easy to get going. And of course, you can see the source code for the framework on github. However, when it came to providing choices for the user, I couldn’t quite figure it out. I reached out for some help (being a Microsoft MVP has its privileges) and Gary Pretty came to the rescue, pointing me to a sample here. While that sample was helpful, I’ll provide more of an explanation. The full solution is on github, check it out if you want. I’ve set the ListStyle to Auto. I’ll get into more detail on that later. 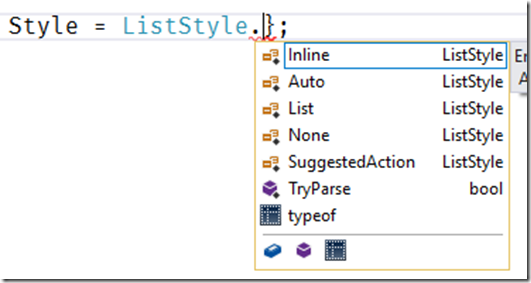 In my constructor I have a list of choices (List<Choice>) and ChoicePromptOptions which wrap the choices and a few other properties including the RetryPromptString. 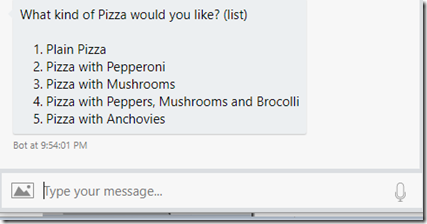 Note that here I am telling the DialogContext to show the ChoicePrompt (referring to it by name “auto”), I supply text (“What kind of pizza…”) and the ChoicePromptOptions. This means I can reuse the prompt by providing different text and choices if I want to. While we are here, let’s get into some other settings. I used Auto before, you can see the result above. List looks a lot like auto right? (I think Auto will change depending on the channel for your bot. List is just a list. As the name suggests, None doesn’t provide any prompts at all. Lastly, here is SuggestedAction. It provides a list of buttons for the user to click. Depending on your situation this can be a great option. Also the RetryPromptString allows you to provide text to display if the user enters a value that doesn’t match up to one of the provided options. Note that if you don’t supply a RetryPromptString and in response to the pizza question, a user enters “hot dog”, the bot won’t react well. In my full sample code I have multiple WaterfallSteps and if a user enters an incorrect response, the bot resets the steps and starts from the beginning. Including RetryPromptString let’s the bot ask again and everything works out. There are other ChoiceOptions for a ChoicePrompt. You can specify if the numbers should be displayed alongside the list items and customize character used to separate the items in the list such as using a comma or pipe. The cool part about this is that regardless of which option you use, the user can respond in a variety of ways. 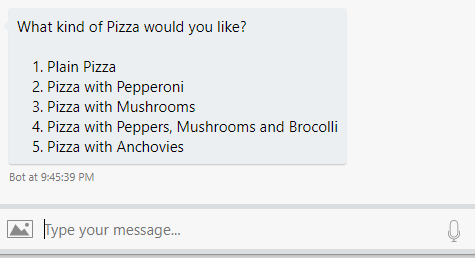 For any of these options, the user can simply enter a “3” to indicate “Pizza with Mushrooms”. 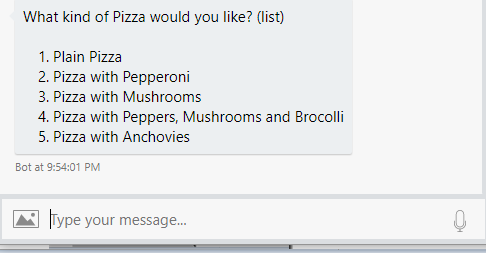 Users can also input “Pizza with Mushrooms” to select that option. User can also input “mushroom” and get the right selection. That’s because I provided Synonyms for most of the choices. This is a really cool feature. Interestingly, using a number, the text or a synonym all work for the None prompt as well. And Of course, for the SuggestedAction type, users can click the button. If you want to see all of the code, you can get it on github. I’ve created a sample that includes all of the prompts.